My dad is great. Growing up in the Great Depression, he lived on thin money much of the time. He met my mom when she was a secretary and he was a young cadet. They married in the midst of World War II. When he returned from active duty, he got his engineering degree—and me. Employment called him to Chicago, and my sister Jane made her appearance. When a man from California was heard bragging about mowing his lawn in his shirt-sleeves in February, Dad dusted the snow off his boots and moved us to Los Angeles. Third daughter, Carole, joined us there. Dad worked in the space program at North American Rockwell. Dad loved us, encouraged us, helped us with our homework, disciplined us when we needed it, made the best jokes and the best hamburgers, and was our rock, our support, our stability. A quiet man, he dispensed wisdom in little nuggets when we needed advice and financial support in big checks when we needed money. I learned about positive thinking; he encouraged us to send out ships, although he didn’t call it that; and he taught us to count our money and save. He was always there when the seas got rough, and cautioned us that not all the fish in the sea were dolphins. He taught us ethics, he taught us responsibility, he taught us humor. Dad is in his eighties now and should be the poster child for enjoying retirement. He gets together with friends regularly, has weekend golfing getaways, takes piano lessons, and is learning to compose music on his computer. He’s almost busier now that he’s not working than when he was! 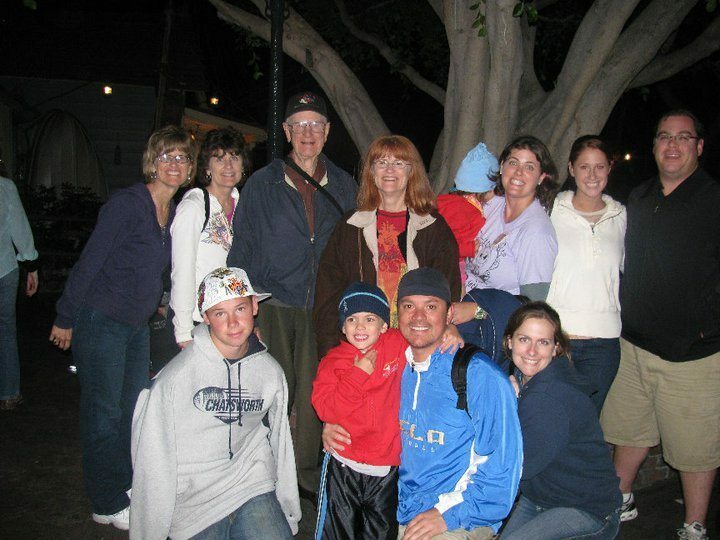 But he always has time for the family, his daughters, sons-in-law, and grandkids, and his laughter and generous spirit brighten all our gatherings. He always has some new story to share, correspondence from an old friend, an article cut out of the paper, or a new book to read. His fascination and love of life inspire us all. He showed me a letter he had written as a young man of twenty-two to my mother’s parents. I read with tears his earnest promises of love, devotion and support for Chellie LeNell, and for the family they would raise. I acknowledged him for having made such a beautiful mission statement for his life—and for having lived it completely. Many times over the years, I have read in the Dear Abby and Ann Landers columns the recommendation that you write your parents a letter, thanking them for their gifts of light and life and love; that such a letter is treasured beyond gold. This is mine, daddy. I love you! When you’ve got dolphins in your life, appreciate them. Thank them. Give your parents of birth or your parents of choice this gift. Write them today. It feels so good to do it, you’ll find it’s a gift to yourself as well.